Pomacentridae is one of the most abundant families in tropical and temperate rocky and coral reefs. They present an extraordinary diversity of habitat preferences, feeding, morphologies and behavior. The eastern Pacific is biogeographically isolated by the Isthmus of Panama and the eastern Pacific barrier. 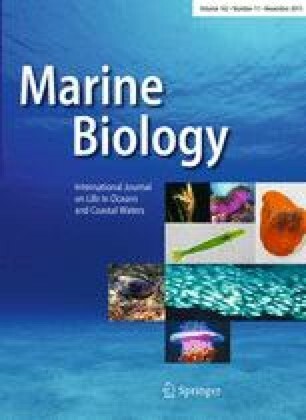 There is an agreement about the origin of the fauna of the Tropical Eastern Pacific, suggesting three main factors, mixture, dispersal and vicariance. In this study, by cluster analyses and parsimony analysis of endemism, the distribution of damselfishes within the eastern Pacific was analyzed to elucidate the provinciality and the history of their radiation. Six main provinces were found: (1) Easter Pacific equatorial islands, (2) North, (3) Center, (4) South, (5) California Province and (6) Clipperton. The Gulf of California and Galapagos islands are the two main centers of species richness. Three main factors limited the radiation of damselfishes: in islands, the distance of the island to the mainland and the size of the island; while in the mainland, the temperature appears to be the main barrier. Our results show the radiation process of Pomacentridae in the eastern Pacific as a dynamic dispersion system, which can be categorized in three main steps: (1) mixture and speciation of species with close affinity to west Atlantic ancestral stocks in the Central Province, (2) dispersion due to favorable conditions to Galapagos islands and Gulf of California and (3) the more complex and perhaps long, gradual dispersal and radiation to temperate areas and isolated or marginal environments. Reviewed by X. Moreno and an undisclosed expert. Consejo Nacional de Ciencia y Tecnología (CONACYT, Mexico) funded the research of R. Aguilar-Medrano. The manuscript benefited from comments by E. Balart Páez, X. Moreno Sánchez, M. Taylor and one anonymous reviewer. This study did not use organisms.